The internet, a beautiful tool and this generation’s great leveller, has brought a directness to the way books are produced. Publishers, if they don’t adapt, become left behind as mere middlemen, no longer needed. Adaptation is wonderful. Therein lays the beauty of the small and alternative presses. To explore the changing landscape of publishing, Annexe will be publishing a collection as part of an exhibition of alternative publishing-based practices, curated by Ladies of the Press*. The collection, Volumes of Text, shows writers each giving their take on the subjects of redundant technologies, redundant media, redundant ideas. Digital becomes analogue and back again. 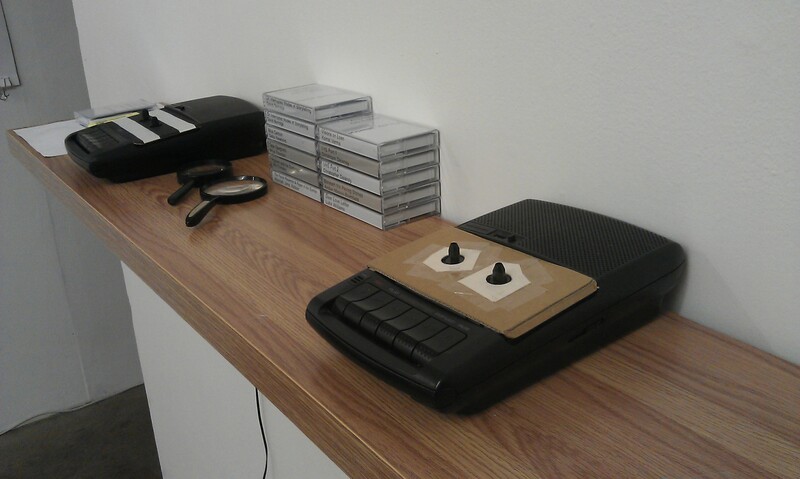 – During the course of the exhibition, each piece will be presented as the reel of a cassette tape. Yet another redundant technology. Parallel to the exhibition, the collection will be available in a digital edition, serving as virtual remnants of the real world show. Annexe will be part of the exhibition alongside Pigeon Magazine and Very Small Kitchen. Each a unique point for contemporary alternative publishing. The show will exhibit the three’s, very literal, acts of publishing. 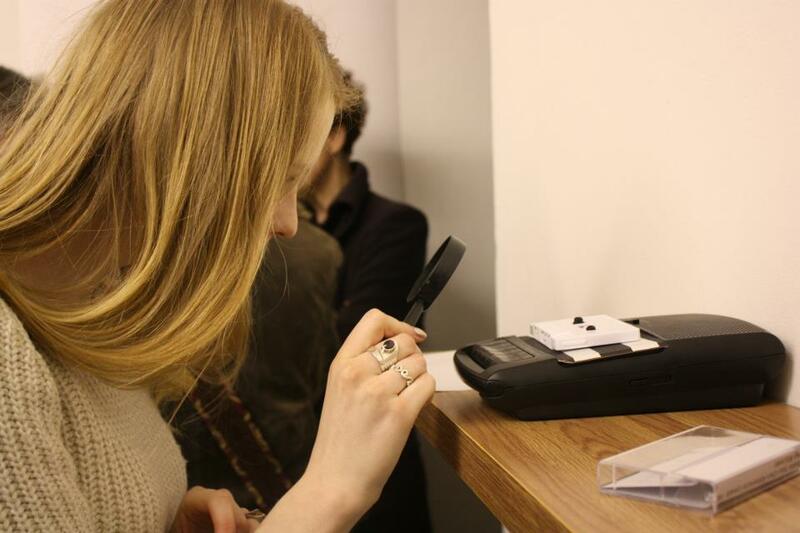 Annexe was invited to be part of an exhibition exploring alternative and independent publishing practices. Curated by the Ladies of the Press*, the exhibition charted the work of three publishing bodies and how they would respond to the issues facing publishing today. For the show, Annexe invited writers to contribute to a collection of works about redundant media, redundant technology and redundant ideas. These stories, poems and essays were then transferred onto thin reels of paper which replaced the ribbon inside cassette tapes. 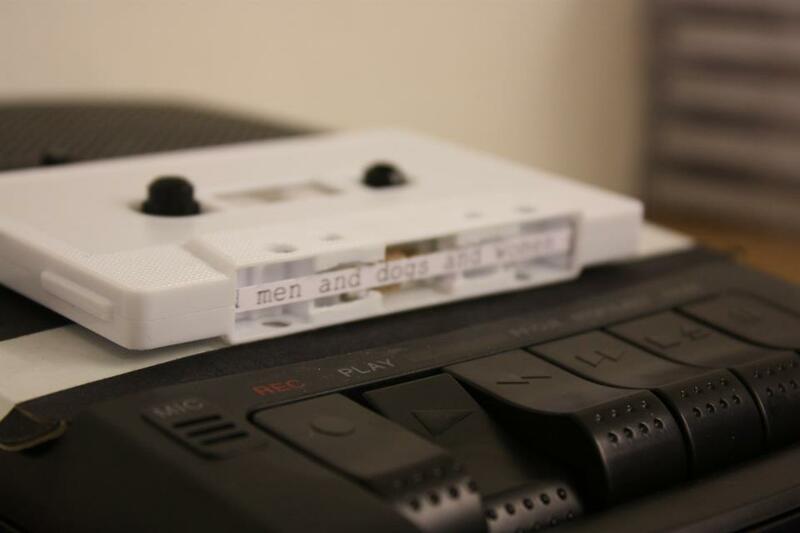 By doctoring a couple of cassette players, Annexe made it possible to read each story by loading the cassette onto the player and pressing play. Our promo video in which you can see the tape player in action. The physical body of Volumes of Text is currently inaccessible to the public, but it will be on display again later in the year as part of Annexe’s Spoken Word Festival in November.